Apple is really in the hardware business, not the software business — it just uses the sales of apps, music, movies, etc., to help sell gadgets. But boy does it sell a lot of software: iTunes sales came in at $1.9 billion last quarter, which puts the digital store at a run rate of $8 billion. 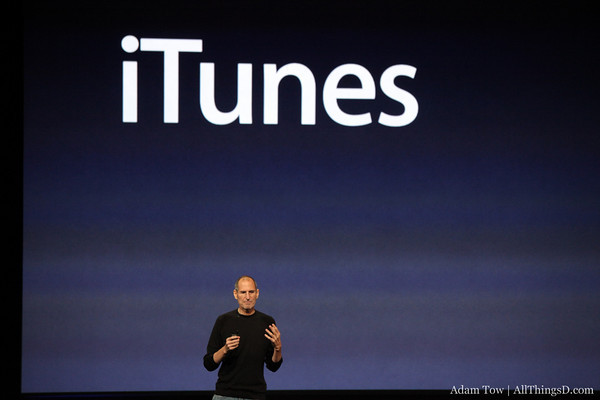 That’s up 35 percent from a year ago, when iTunes did $1.4 billion. During Apple’s conference call today, CFO Peter Oppenheimer answered a query about delays getting new content into iTunes with a boast about the depth of the store’s music and video catalog. But as always, my assumption is that the bulk of that growth is fueled by app sales, not traditional media sales.